This video is of Democrat Pam Iovino in a televised debate between her and FOAC Endorsed Candidate Raja (Rep.) on the issue of Gun Control. In specific, this shows her support for banning so-called Assault Weapons. This video is a compilation of the continuing bias and prejudice of Pittsburgh City Council against the Constitution, the law and the intent to circumvent the rights of citizens to advance the gun control agenda. Extreme Risk Protection Orders (ERPOs) are all the rage in the far left's gun confiscation agenda. 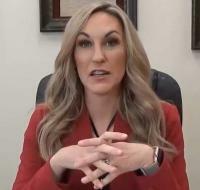 This video from attorney Alex Kincaid points out that there are already laws on the books to cover situations such as the Parkland mass murderer. Every state in this country already has a set of laws that allow law enforcement to take away firearms from people by civilly committing them, but currently they have to do it by validly following the other protections in our Constitution. 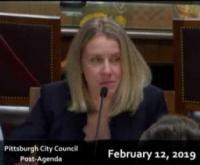 Councilwoman Strassburger reveals, for anyone who ever doubted, the true agenda behind the illegal Pittsburgh Gun Control push: ". . .I'm under no illusions that these three bills that we're proposing here at city council are going to solve every mass murder or suicide, or, umm ya know really make a dent in in the problem of gun deaths, homicides, violence, and accidental deaths as they relate to guns, but umm they are part of a strategy that I believe will umm work it’s way up through the state and to the federal level and umm are really important first step, so that's why we propose them. So, that’s all I’ll say"
Does 'anyone' believe the Constitution or our 'Rights are 'safe' with these people? This video shows just how arrogant and condescending politicians can be. Pgh. Council President Kraus is pushing illegal gun control and couldn't care less about facts, the Constitution or being civil and respectful.